Learn how to identify the best quality of olive oil grades before you buy you next batch of olive oil. Just because an olive oil is imported doesn't necessarily mean that it's the best quality. Most consumers have no idea that there is a widespread misunderstanding of labeling in the olive oil industry. When a consumer goes into a retail store and buys a gallon of extra virgin olive oil for $14.00, they should question whether that's really extra virgin olive oil. The U.S. olive oil sales have doubled in the last decade as Americans look for healthier food options since discovering the many Olive Oil Benefits. 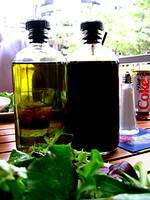 Olive oil now accounts for about one-third of all cooking oils used at home. Oil production in Spain, Italy and other Mediterranean countries are classified under international standards the U.S. has not adopted. Instead, the U.S. Department of Agriculture uses a 1948 classification system that defines olive oil grades as fancy, choice, standard or substandard. The terms carry no regulatory weight in this country, so unscrupulous producers here and abroad can get away with branding olive oil bound for the U.S. grocery shelves as extra virgin-the highest and most expensive olive oil grade-even if it is of lesser quality. Have you ever read the amazing benefits of Olive Leaf Extract? The olive tree is amazing in so many ways. Produced in the United States! Most olive oil consumers think that if the olive oil isn't imported from places like Italy or Spain it couldn't possibly be a high olive oil grade. Therefore, most consumers really haven't ever tried some of the highest quality olive oil, and it's produced in the U.S.
California growers of Tuscan olives are in the process of petitioning the federal government to adopt the same familiar terms used by European producers: olive oil, virgin olive oil and extra virgin olive oil. The California Olive Oil Council, an industry group, petitioned the USDA in 2004 to replace its outmoded classification system, and the agency expects to solicit public input by the end of this year. A final decision will come after that. The U.S. growers also hope that by adopting the international standards, they would eliminate cheap international competition, helping the state's producers increase their share of a U.S. market dominated by European countries. Some instances of fraud involve lower-grade oils classified as extra virgin, but in the most egregious examples, cheaper vegetable oils and sold as extra virgin olive oil. Extra Virgin Olive Oil is King! Among olive oils, extra virgin is king. To earn the classification under the international standards, the fruit must be picked before it becomes too ripe and before it becomes too ripe and pressed son after without solvents, heat or intense pressure. It must meet strict requirements for acidity. California is by far the leading U.S. producer. Olive oil production has rose from about 250 gallons in the 2001-02 to about 400,000 gallons in 2004-05. Production is expected to double during the next three years. The really high quality olive oil grown in California grows olives from Tuscany. The very best quality of extra virgin olive oil being grown now will have a distinctive peppery finish.